The new ASR111 is now Born !. Equipped with the latest HYBRiD Metal Gear Box, this gun is the ultimate weapon that keen airlift operators should not miss out on. As standard it comes with a crane stock which will either fit a LiPo Battery or Nun-Chuck Ni-HM Battery. 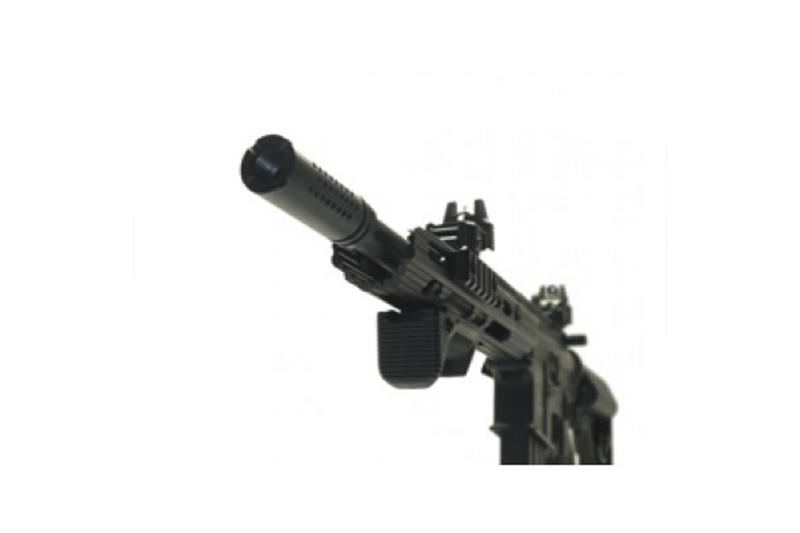 The beautiful CNC RTS Hand Guard perfectly matches the MIL STD 1913 rail. 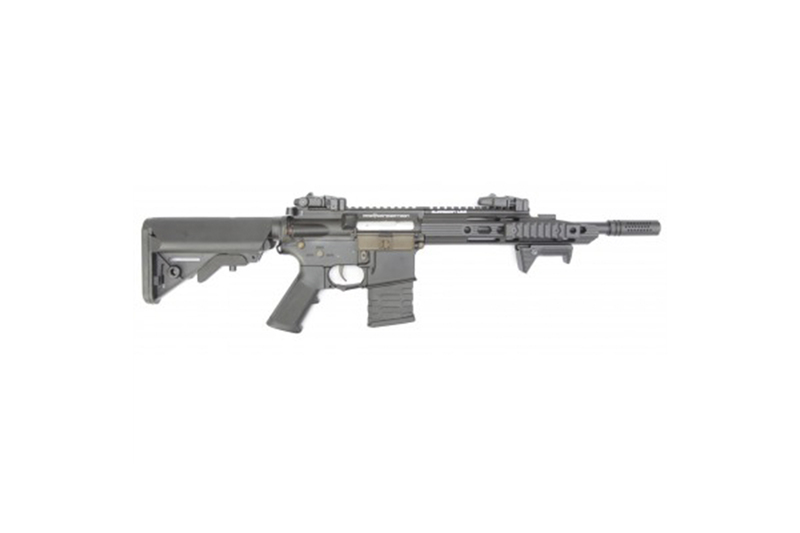 In addition, this gun also comes with a stylish U Mag, Dynamic Hand Stop and G-Type Gas Block. 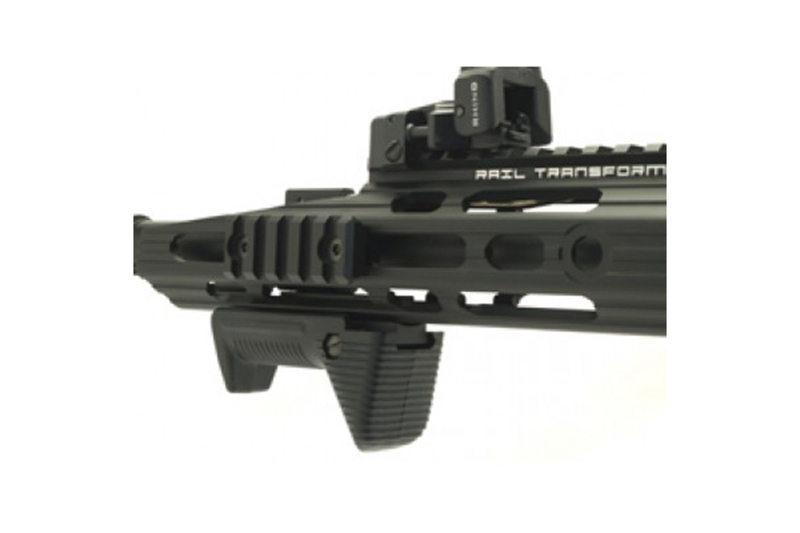 The design of the rail system is developed from the legendary MRE (Modular Receiver Extension) RIS, which is perfect for either CQB or any mid Range shooting situations you may find yourself in..
Incredibly unique looking in the "crammed" world of the M4 airsoft market Offering our unrivalled accuracy and reliability coupled with its "devilish" good looks. For an even more menacing look, try adding one of our new combat custom water transfer ideas to the gun. There wont be any others like it out there.